To date, there has been a relative paucity of research conducted on the effects of nutrition and diet on mental well-being. The few studies that have been published suggest that nutrition plays an important role in our mental acuity and well-being and that poor nutrition can negatively affect mental health. Our diet consists of three major components: protein, carbohydrates, and fats. Fats play an extremely important role in the structure and function of the body. The unsaturated fats are further divided into several categories and include the Omega 3 and Omega 6 groups. In general, the Omega 3’s are anti-inflammatory and the Omega 6’s are pro-inflammatory. The American diet is relatively high in Omega 6’s and low in Omega 3’s; this leads to high levels of inflammatory disease in our population (Simopoulos, 2002). 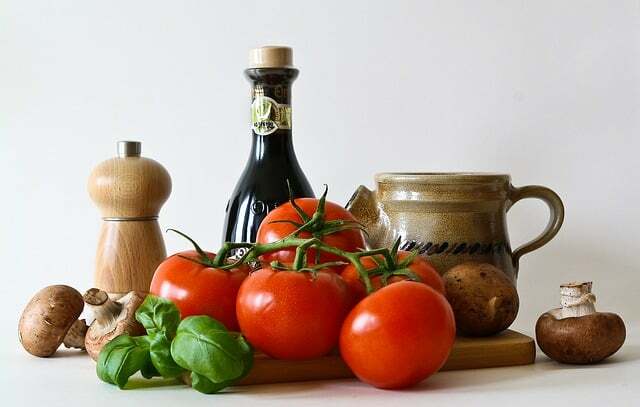 Whereas, the Mediterranean diet is relatively high in Omega 3’s and has been shown to reduce rates of Cardiovascular Disease by 30 percent (Schröder et al., 2014). Depression is associated with inflammation and it follows that decreasing inflammation by improving this balance can alleviate symptoms (Prior et al., 2012). In a recent comprehensive meta-analysis, Grosse et al. (2014) confirmed that supplementation of Omega 3 fatty acids is an effective treatment in patients with depression. Omega 3’s also appear to have a direct effect on the brain. Evidence suggests that Omega 3’s may prevent the development of dementia, and that Omega 3’s have a role in the treatment of ADHD (Fares et al., 2014). A study by Hakkarainen et al. in 2004 examined the impact of diet on the mental health of 29,133 older male smokers, who logged their daily meals. The researchers found that greater consumption of processed foods such as margarine and other junk foods with high levels of saturated fats and relatively low levels of Omega 3 fatty acids was associated with increased depression, anxiety, and insomnia. In addition, consider the anecdotal study conducted in the movie Fast Food Nation that demonstrated alarming health consequences for the one subject who ingested nothing but McDonald’s food for 30 days. SUGAR is another nutritional factor that affects our mental and physical well-being. Sugar comes in many different forms, but any form of added sugar is generally unhealthy. Common forms of sugar include table sugar, beet sugar, honey, agave, high fructose corn syrup, and brown rice syrup (Tandel, 2011). Sugar, as glucose, provides our body with a fast source of energy. However, too much sugar causes big problems. Sugar leads to direct stimulation of the brain by triggering the release of dopamine, the “feel good” neurotransmitter. In fact, sugar’s effect on the brain resembles that of highly addictive drugs like cocaine. This may explain why you crave something sweet (cookies, ice cream, etc.) when you get stressed, instead of craving broccoli (Barclay, 2014). Consumption of simple sugars triggers a large and rapid release of insulin, a hormone that lowers blood sugar levels. This natural response makes you hungrier, slows down your metabolism, and increases your body’s storage of fats. Although fruits and veggies contain sugars, these sugars are complex and are not broken down as quickly and easily. Furthermore, these complex sugars are bound to fiber, which slows down their absorption and blunts the insulin response (Cocate et al., 2011). Research indicates that reducing simple sugar intake can even improve ADHD symptoms (Johnson et al., 2011). In order to balance your blood sugar, doctors and nutritionists generally recommend combining healthy sources of protein (such as meats, eggs, or beans), fats (such as coconut oil, nuts, or avocado), and carbs (such as fruits, vegetables, or whole grains) with each meal (“Healthy Eating – Overview,” 2013). To learn more about sugar’s effect on the brain, refer to the following video…. Consult your doctor or a nutritionist to discuss your optimal diet and potential vitamin supplements. Generally, doctors and nutritionists recommend diets with whole grains and lots of vegetables and fruits with few processed foods or added sugars. If you need additional Omega 3 Fatty Acids in your diet (consult with your doctor), you can take a supplement or eat fatty fish one or two times per week. Flax and chia seeds are also good sources of Omega 3’s.